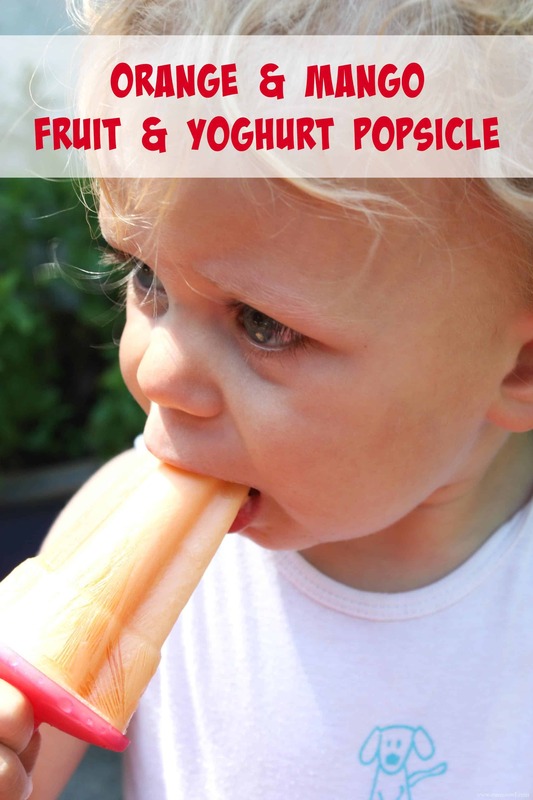 These East Fruit and Yoghurt Popsicles are great!! They are easy to make, healthy to eat, and best of all – extremely yummy!! 3. 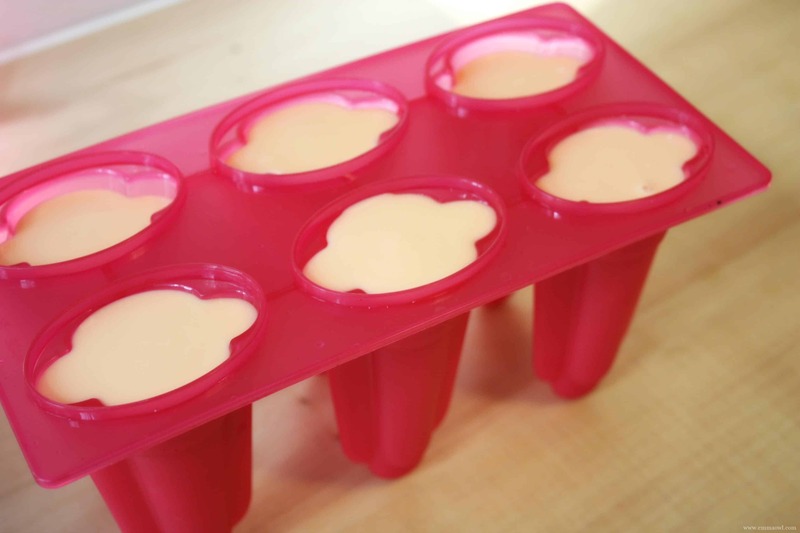 Fruit Shots (This is very concentrated fruit juice. It is NOT concentrate – rather a strong shot of fruit juice. It is usually sold with all the fresh juice for people on the run!) 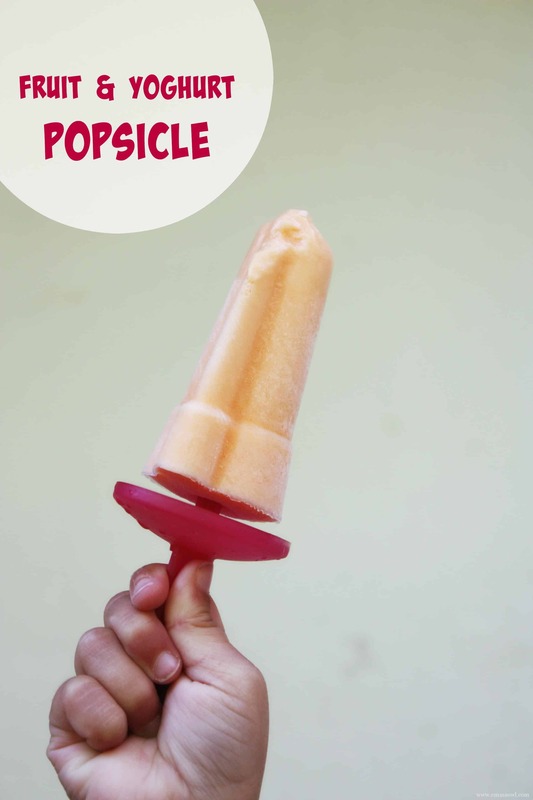 I used Orange and Mango flavor. 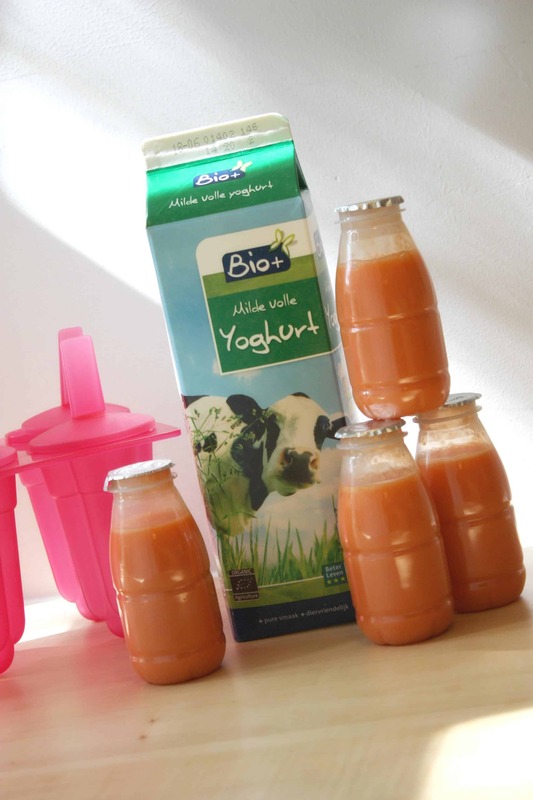 Right, first you need to mix your yoghurt, concentrated fruit juice (fruit shot) and honey together. You should do this by taste. Add as much fruit juice as you would like – keep tasting after each one, and then squeeze in some honey. Some yoghurts are a little more sour than others – so you are also going to have to add the honey to taste!! 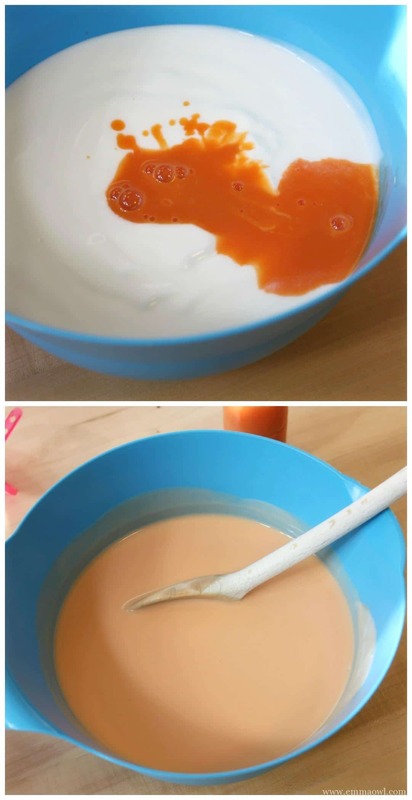 I used 1/2 liter yoghurt with 3 fruit shots and about 3 tablespoons of honey. Freeze overnight and you are all ready to go!! …ps: this should get the stamp of approval!! Yumm!!! Thanks for sharing on #ToddlerFunFriday!